Advanced design and innovative features make the 9010 and 9020 Controllers the top choice for gas-warning systems, monitoring up to 20 channels. The 9010 Controller operates with one independent sensor, while the 9020 operates with two independent sensors per control module. Each module comes with an independent AC/DC power supply for increased system reliability. Both units feature full internal diagnostics, which minimize false alarms and unexpected down time. The controllers can also power remote sensors, while the large four-digit LCD and LED provide such crucial information as gas concentration, alarm status and more. 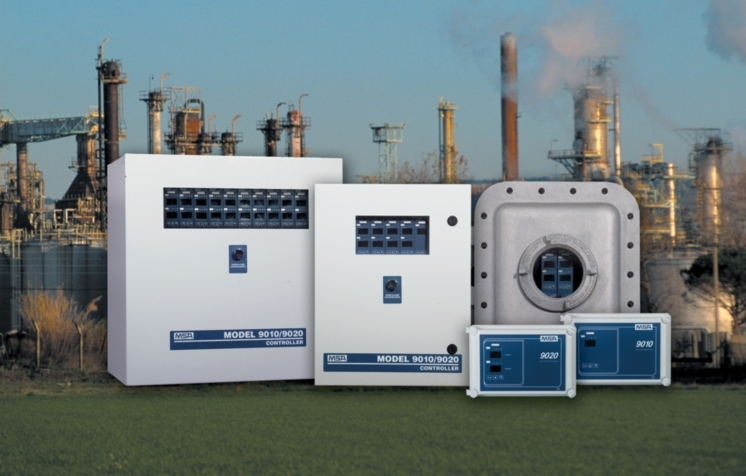 A convenient RS-485 serial interface offers handy printer connection to make a record of data, while a customized transmission protocol Modbus RTU can record serial bus data transmission such as system configuration, gas concentration, alarm and failure events.